Our friend, Troy Harris, has recently been diagnosed with a brain tumor that is continuing to grow. There is also an optic nerve that is running through the tumor which is putting Troy at risk of losing his eyesight. Troy must have this tumor removed and the best course of action, according to Doctor Charlie Teo, is Minimally Invasive Neurosurgery which is estimated somewhere between $87,000 and $100,000. This is a cost that no one could have been prepared for. 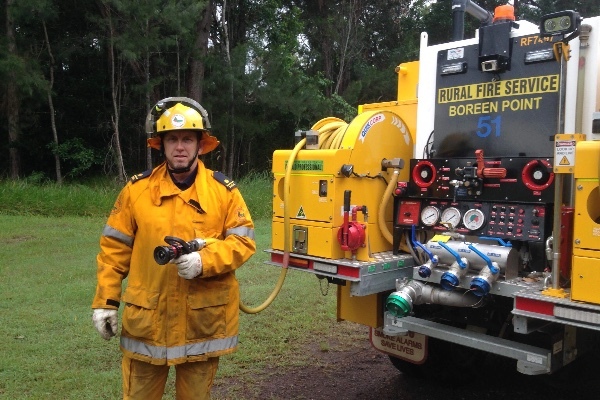 Troy is an upstanding member of the Sunshine Coast, Queensland community, being a volunteer member of the Rural Fire Brigade for 7 years, undertaking the role of Noosa Group Training Officer and impacting the lives of everyone who crosses his path. We are asking for help! Troy is a devoted family man, married for 19 years with 2 teenage boys, the best of friends to all and if you could find it in your hearts, and pockets, to assist us by donating funds towards Troy’s much needed surgery, we would truly be forever grateful. Please dig deep, spread the word and help our Troy! No donation is too small and anything you can contribute, would be so very helpful in covering Troy’s medical expenses. Furthermore, we have set up an account with Commonwealth Bank in the name of ‘The Troy Harris Appeal’ and all donations will be deposited into this account until the time that we are able to book Troy’s surgery in with Dr Teo. We will continue to keep you all updated on our fundraising efforts.